(Natural News) Grape seed extracts can promote teeth durability and stave off tooth decay, a recent study in the Journal of Dental Research revealed. According to a team of researchers at the University of Illinois at the Chicago College of Dentistry, natural compounds found in grape seed extracts fortify the teeth’s dentin. Dentin is the dental tissue beneath enamel, which is mostly made of collagen. 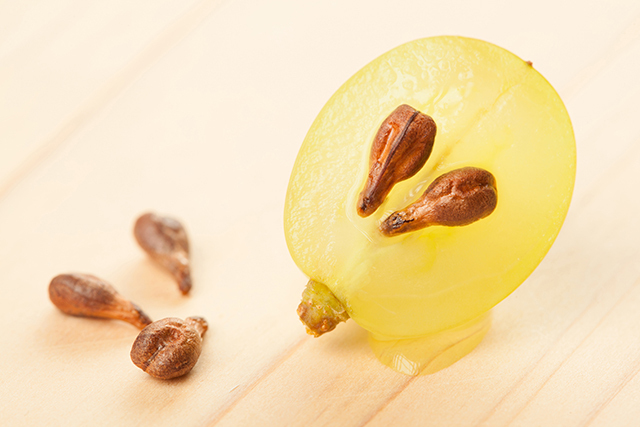 The researchers also noted that grape seed extracts may increase the life span of dental fillings. Dental fillings can be made up of amalgam or composite resin. Researchers said dental amalgams are usually made of a combination of heavy metals such as mercury, silver, tin, or other materials. Dental amalgams are known for their low cost and long life span of 10 to 15 years or higher. On the other hand, composite-resin fillings are more aesthetically-designed, as the plastic and fine glass particles allow dentists to use filling colors that match the patients’ teeth. However, composite fillings last only five to seven years. “When fillings fail, decay forms around it and the seal is lost. We want to reinforce the interface, which will make the resin bond better to the dentin. The interface can be changed through the use of new natural materials…The stability of the interface is key for the durability of such adhesive joints, and hence, the life of the restoration and minimizing tooth loss,” researcher Ana Bedran-Russo said in DailyMail.co.uk. The recent study found that a combination of grape seed extracts and plant-based oligomeric proanthocyanidins prompted damaged collagen to repair itself. According to Bedran-Russo, interlocking the resin and collagen-rich dentin offered better adhesion and did not rely on moisture. The study was funded by National Institute of Dental and Craniofacial Research. Oral health status in the U.S. Oral and dental health issues remain a major burden in the U.S. Data from the Centers for Disease Control and Prevention (CDC) revealed that nearly 18 percent of children aged five to 19 years old had untreated dental caries in 2015. The CDC also showed that more than a quarter of adults aged between 20 and 44 years had the same condition in 2015. In addition, CDC data revealed that 83 percent of patients aged two to 17 years made dental appointments in 2015, while 62 percent of adults aged 18 to 64 and 62.4 percent of seniors over 65 years did so in the same year. Furthermore, the CDC noted that disparities in oral health continue to exist across ethnic groups in the U.S. According to the CDC, non-Hispanic blacks, Hispanics, American Indians, and Alaska Natives generally have the worst oral health of any racial and ethnic groups in the country. Mexican American and black, non-Hispanic children have the highest rates of tooth decay among young patients aged two to eight years old. On the other hand, blacks, non-Hispanics and Mexican Americans were nearly twice as likely to suffer untreated tooth decay compared with white, non-Hispanic adults.